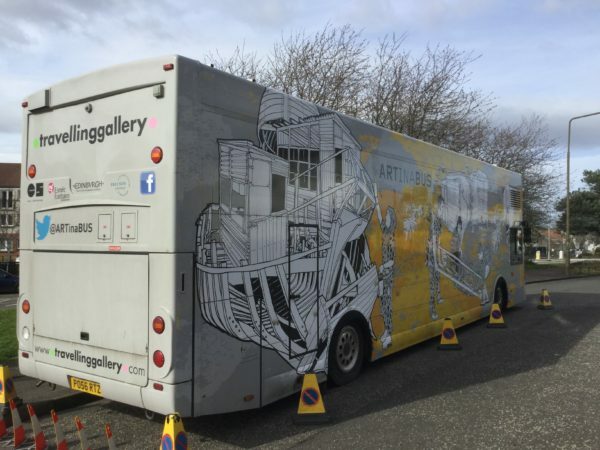 WHALE Arts is delighted to announce the Travelling Gallery will be returning to the WHALE Arts Centre on Friday 8 March 2019 from 10.00am – 4.30pm with exhibition ‘Displaced‘. Travelling Gallery’s Spring 2019 exhibition, Displaced, will explore how artists and creative industries are responding to global migration now. With ongoing international conflicts and the continued displacement of human beings we are questioning how we view, understand, and represent refugees. Can artists give a voice to those who don’t have one? The exhibition includes photography, printmaking, film and painting from artists Halil Altindere, Brendon Bannon, Broomberg and Chanarin, Elizabeth Kwant and Alberta Whittle.